Your pet deserves to feel good. 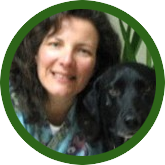 Allergy and Arthritis Alternatives for Pets, the veterinary practice of Dr. Sheila Snodgrass, offers the latest innovations in modern pet health with proven, integrative holistic approaches. Serving St. Louis and its surrounding areas, Dr. Snodgrass takes a refreshing, holistic approach to addressing your pet’s specific health needs. We offer integrative therapies such as acupuncture, nutritional supplements, and herbals that promote healing and enhance the lives of chronically ill or geriatric pets. Effectively manages acute or chronic pain. Safe and gentle alternatives to conventional drugs. Drug-free alternative therapy for allergies. Dr. Sheila Snodgrass has been a veteran of animal health for nearly 30 years. She has a holistic approach to pet care and focuses most of her attention on geriatric care and chronically ill pets.